Born with Cerebral palsy, Kianna (pictured above in 2016) visited Kim’s annual Physical Therapy team every year since 2012, when she was 3 years old. For children growing up in developing countries, access to physical therapy services is rare. Most hospitals and clinics lack the necessary equipment and staff to help children with orthopedic, neurological, congenital or acquired conditions affecting normal movement. 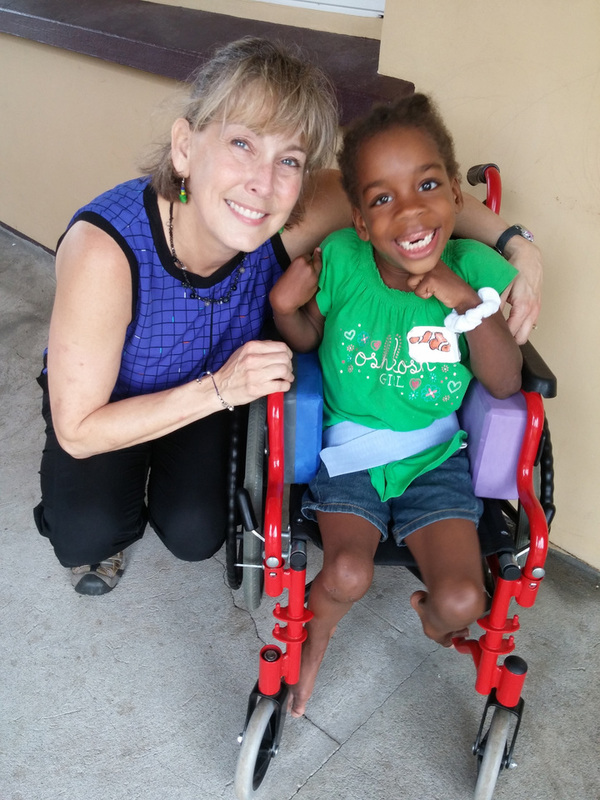 This reality in the Eastern Caribbean meant there was an abundance of children awaiting physical therapy when Kim began volunteering her services in 2006. 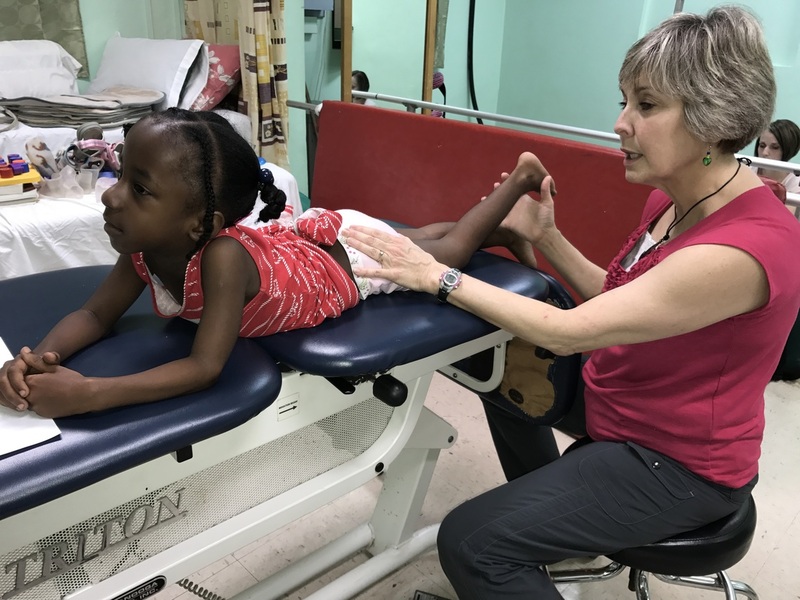 For most children, WPP occupational and physical therapy clinics are their only opportunity to see a pediatric specialist like Kim and receive the specialized physical therapy exercises customized for their distinctive needs. She truly made a difference in the lives of hundreds of children in the Caribbean with life-changing therapy and care. Chloe has been seen by WPP teams since she was 9 months old. After receiving orthopedic surgery in Richmond, VA in 2015, Chloe visited Kim’s Physical Therapy team when it traveled to St. Vincent every spring. Her progress has been incredible and given her a chance at a normal life for a 9 year old. 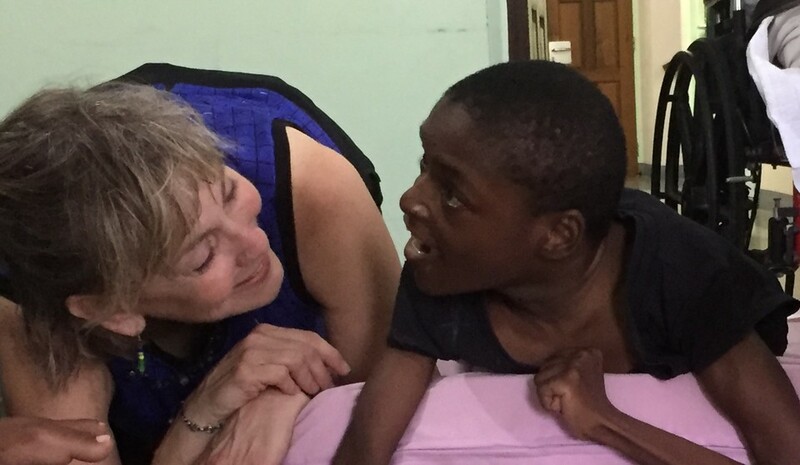 Kim led thirteen physical therapy missions to St. Vincent and St. Lucia, and only months before her passing, hanging on to hope and optimism for her own healing, was actively planning for her next trip helping children from newborns to young adults. Every child Kim helped was personal to her and each had their own therapy progress plan. Prior to Kim’s passing in January and in recognition of Kim’s extraordinary dedication and love for her WPP children, she was awarded the 2018 WPP Julian C. Metts Humanitarian of the Year Award. Dr. Metts is the founder of World Pediatric Project with the vision that together, caring people could work together to “heal a child and change the world.” Kim will be dearly missed by the entire WPP family.